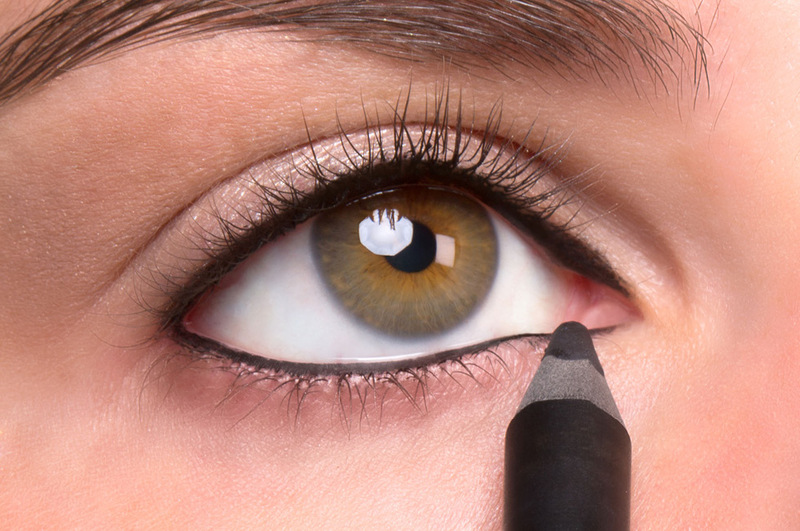 Tightlining your eyes (also known as "invisible eye liner") is a great way to add subtle definition to your peepers. 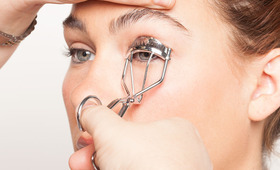 Most people think that the point of tightlining is to make your eyes look bigger, but according to Los Angeles-based makeup artist, Jason Sanchez “it’s to make your eyelashes appear thicker and fuller.” Instead of lining the skin above your lashes, you line the inside of the upper lash line and in between the roots of the lashes. As you can see in the picture below, filling in the inside of the lash line really creates an illusion of fuller lashes, more so than just with a mascara. 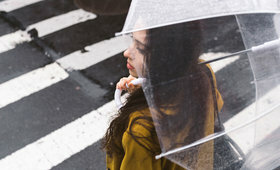 This technique can be used for any casual or formal occasion, and is pretty easy to master. 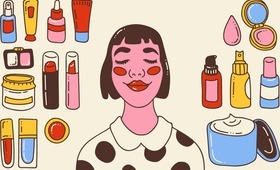 “For best results,” says Sanchez, “use a kohl eyeliner because it’s specifically formulated to hold in the wet area of the eye.” Sanchez walked us through each step, so grab an eyeliner and follow along! Using clean fingers, gently lift your lashes upward. 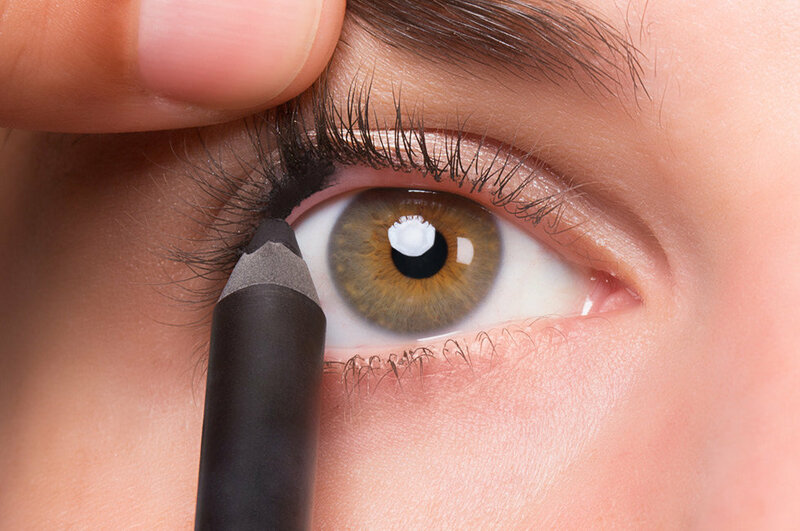 You'll see tiny gaps between your lash hairs, which you'll be filling in with eyeliner. Using your eyeliner (we used Inglot Cosmetics Kohl Pencil), lightly dab it in between each individual lash and get as close to the root as possible. 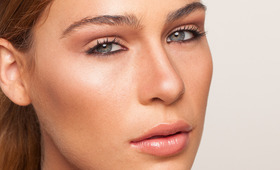 Technically you’re done, but if you’d like to intensify the look even more, you can tightline your bottom lash line, too. Gently lift lower lashes downwards, and fill in the gaps between each lash. 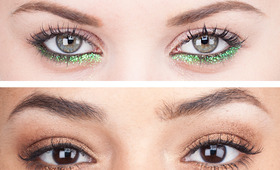 Two Great Ways To Wear Glitter!